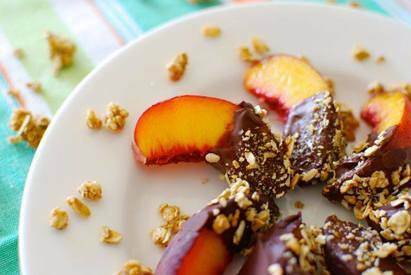 Chocolate & granola covered peaches! Oh my goodness, were these delicious – not to mention simple and quick! It only calls for 3 ingredients!